Our school was founded on the koryū kenjutsu techniques and tradition. Formed from the study of Edo period Shintō Munen-ryū Kenjutsu system 神道無念流 (Shindo Munen-ryu). Shinkan-ryū is a non official descendant school of Shintō Munen Ryū Kanto-ha. 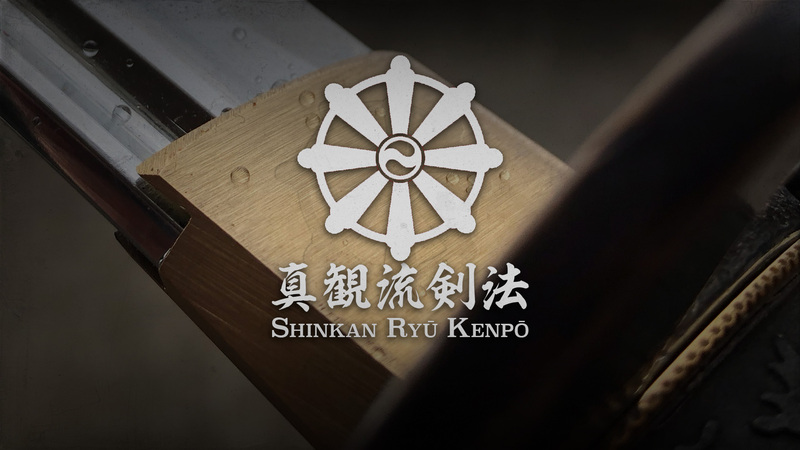 The philosophical and more profound teachings of swordsmanship in Shinkan-ryū Kenpō are conveyed and taught. The school is centered on authentic and correct swordsmanship of Japan, and the spiritual development and character refinement of the swordsman. Just as the classical arts are meant to be, but are either superficially so or sadly, simply not at all emphasized. Shinkan-ryū takes the ideas of munen 無念 (non-worldly thoughts), which is a Buddhist concept and attempts to pierce the fog of mental constructs to show the real truth of our minds and the world. The techniques of the sword and mind are shared at the same level. 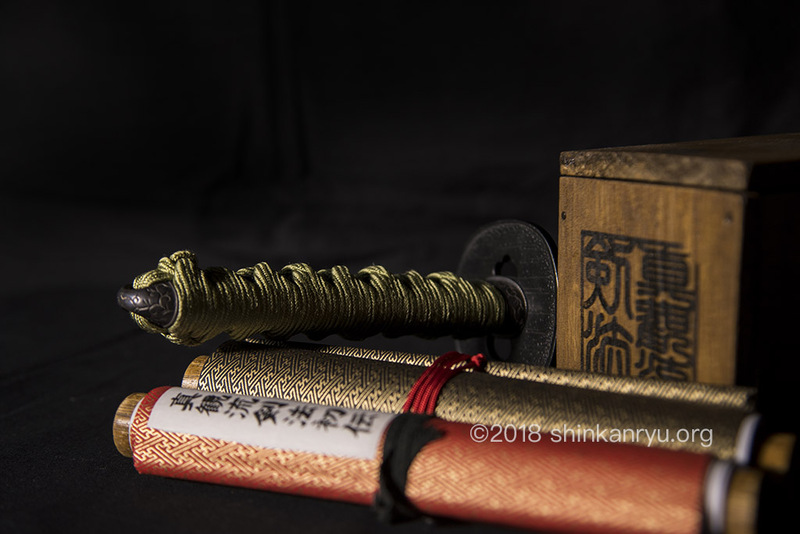 One does not develop only the sword without the mind in the true tradition of Shinkan-ryū Kenpō. The system is taught by it's current Shihan, Steven F. Radzikowski. The long sword and short sword, katana and wakizashi are used in the arts of Iaijutsu and tachi-iaijutsu. There is also a large syllabus of kenjutsu (paired sword forms). Techniques of the jō (medium staff) are used in jōjutsu. More on the curriculum page. Shinkan-ryū Kenpō does not abide by the modern kyu and dan ranking system present in many modern martial arts. For example the traditional levels of teaching, shoden, chuden, joden and okuden are present in the system. The traditional ranks of Kirigami, Shoden, Sho-mokuroku are the first few ranks. The ranking is done through traditional scrolls (makimono) and certificates (menjo). Promotion through the ranks is based on skill and knowledge. Select makimono (scrolls) of Shinkan-ryū Kenpō. Equipment used in Shinkan-ryuū Kenpō includes the basic bokutō (wooden sword). We also use iaitō, both long and short. Iaitō are metal swords with blunted edges. We also use Shinken, swords with real edges when appropriate. 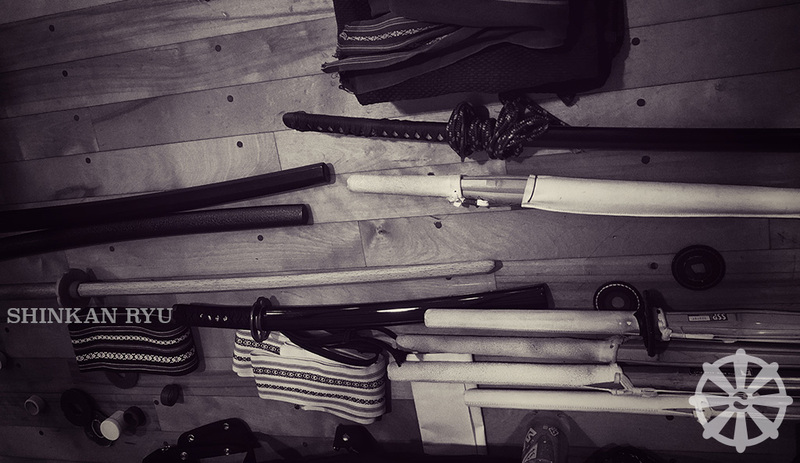 Shinai (slotted bamboo swords) and a few other types of swords are also used. We practice wearing traditional Japanese martial arts clothing (budō-gi) and practice armor (bogu). Shinkan-ryū Kenpō does not recognize the authority of any modern governing body. As with many other schools in Japan, Shinkan-ryū freely exists outside of any larger group. Is Shinkan-ryū an official Koryū? It is not an official school holding menkyo kaiden from any koryū. We are not affiliated with any other system or group in Japan.